We cannot fail to notice the coupling of ideology and literature after 1948 reflected in the form of socialist realism and schematisation (linking of the individual and the collective; the positive, class-conscious hero; the social stratification of protagonists, etc.). In mostly synthetic epic writing, such subjects as collectivisation, industrialisation and the Second World War are prominent even in the writings of authors who made their debut in the inter-war period, for example the novel depicting the creation of co-operative farms Radostník (Zestful Daybook, 1954) and the enthusiasm-promoting novel Družné letá (Companionable Summers, also from 1954), written by Dominik Tatarka. The post-war transformation of the village was themed in Katarína Lazarová’s novel Osie hniezdo (The Hornet’s Nest, 1953), in František Hečko’s novels Červené víno (Red Wine, 1948) and Drevená dedina (The Wooden Village, 1951), in Ferdinand Gabaj’s Ryžiari (Panners, 1953) and in Vladimír Mináč’s collection of polemic short stories Na rozhraní (At the Borderline, 1954). Mináč also wrote a youth movement novel entitled Modré vlny (Blue Waves, 1951), while Jozef Horák concretised the mining environment in his novel Šachty (Pits, 1953). Peter Karvaš’ novel Pokolenie v útoku (The Offspring Striking out, 1952) brought forward the discussion on socialist realism, somewhat reviewing the schematism and ending with the thematisation of the Uprising and drawing on the novel Toto pokolenie (This Offspring, 1949). 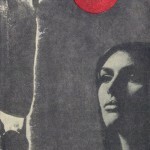 After an attempt at a broader-scoped view in an unfinished trilogy, Karvaš published satirical pieces of prose Čert nespí (The Devil Does Not Sleep, 1954), Čertovo kopýtko (The Devil’s Little Hoof, 1957). 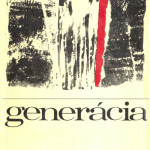 Another epic synthesis was presented in Vladimír Mináč’s war and early post-war year trilogy Generácia (Generation, incorporating Dlhý čas čakania, The Long Time of Waiting, 1958, Živí a mŕtvi, The Quick and the Dead, 1959, and Zvony zvonia na deň, The Bells Ring Out for the Day, 1961). In 1957 Viera Handzová made her debut with psychological prose narratives on the Uprising, in Madlenka. A plot focused on a wounded partisan was autobiographically presented in Ladislav Mňačko’s novel Smrť sa volá Engelchen (Death’s Name is Engelchen, 1959). The novel Sklený vrch (The Glass Mountain, 1954) by Alfonz Bednár has, no doubt, become a valuable testimony of the Uprising from the perspective of a complex individual (the daily written records of Ema Klaasová) problematising the methods of socialist realism. Bednár modelled the area of the Tichá Dolina (an alpine as opposed to a lowland setting) as a positive value which also conditioned man’s behaviour. Equally, the returnable motif of the fairy tale of the Glass Mountain is a parable for man’s uneasy lot. The complex zonal composition and the confrontation of the war is also found in Bednár’s collection of short stories Hodiny a minúty (Hours and Minutes, 1956), which depicts oftentimes tragic stories of people in the 1950s. Likewise, Rudolf Jašík’s novel Námestie svätej Alžbety (St Elizabeth’s Square, 1958) depicts the Second World War through the tragic love story of a Jewish girl Eva and a Slovak man named Igor. A controversial stance on the Uprising is presented by Jozef Cíger Hronský in his most extensive novel Svet na Trasovisku (The World in Quagmire, 1960) which was published in exile and can also be seen as ideological (the unilateral rejection of the Uprising as a rebellion of the people against their own state, the idealisation of Martin Hrančok as a Slovak and Catholic, etc.). The transition from schematic novel to the problematic depiction of existential situations is also evident in František Švantner’s novel Život bez konca (Life Without End, 1956) or in his posthumously-published collection of short novels Dáma (The Lady, 1966). With his novel Život bez konca the author creates a synthesis of the otherwise individual existence of Paulínka, so that (responding to the polemics on so-called ‘angel countries’) on the one hand he perceives man, biologically and socially determined, through the metaphor of life – the river, i.e. in an irrationalist manner.